Join us for an evening in the Secret Garden at the Rochester Hotel. The $10 cover charge will help support La Plata County nonprofits, including Stillwater Music, which strives to share the joy of playing music by developing in our students the skills, confidence and ability to play music in a performing band. Each band is led by a talented professional musician who creates a safe, collaborative, inspiring and fun learning environment, matching students by skill level and age to the appropriate band. 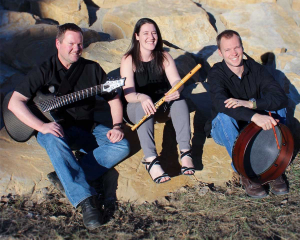 The Stillwater All Stars will be kicking off the concert at 4:45pm and play until 5:30pm. The Assortment will provide the music for the remainder of the evening. Food and drink, including signature cocktails using Tito’s Handmade Vodka, available for purchase. 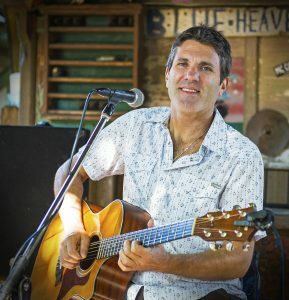 Join us at the beautiful Pagosa Springs Golf Club from 5:30-7:30pm to enjoy a beautiful sunset and listen to Eric Levy play rock and blues tunes. $10 cover benefits Veterans for Veterans of Archuleta County. Vets for Vets focuses on helping any and all veterans in Archuleta County and the surrounding areas. They help provide transportation, help with food and utilities in time of need, support for families of deployed military, financial assistance, advocacy for veterans, and community education. Hope to see you there! 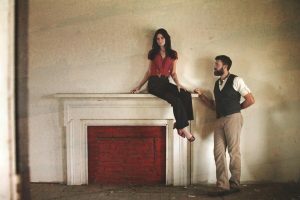 Join us for an evening with Dustin Burley in the Secret Garden at the Rochester Hotel. 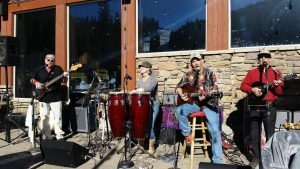 The $10 cover charge will help support La Plata County nonprofits, including The Garden Project of Southwest Colorado, which aims to grow a healthier community through the support and development of school and community garden programs that promote health and wellness, environmental stewardship, and a sustainable local food system. Food and drink, including signature cocktails using Tito’s Handmade Vodka, available for purchase. 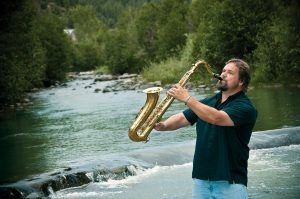 Come to the beautiful Pagosa Springs Golf Club from 5:30-7:30pm to listen to Bob Hemenger play Dixieland, jazz, blues, soul & pop. 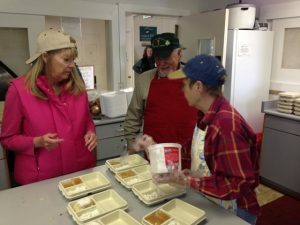 $10 cover benefits Archuleta County nonprofits such as Loaves and Fishes of Archuleta County, an organization that aims to provide nutritious meals in a safe, warm, and caring environment, free of charge, to anyone seeking nourishment and fellowship. 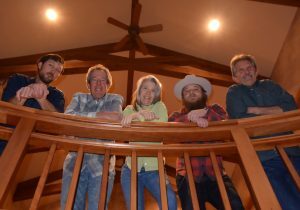 Join us for an evening of bluegrass music provided by The Badly Bent in the Secret Garden at the Rochester Hotel. The $10 cover charge will help support La Plata County nonprofits, including Know Your Dough, an organization designed to inspire our local youth to begin their path toward financial literacy and independence. Food and drink, including signature cocktails using Tito’s Handmade Vodka, available for purchase. 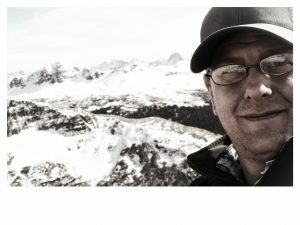 Colorado Gives: Could My Nonprofit Benefit? Cindy Arnold Hummiston with Kindle Partners will present an overview of ColoradoGives and Colorado Gives Day, which raised nearly $34 million in 24 hours in 2016. But only a fraction of eligible nonprofits in Southwest Colorado participated, thus, area nonprofits missed out on a wealth of support for their vital work. With a PowerPoint presentation, live links to the ColoradoGives website, and an interactive discussion of a 2016 case study, Cindy will explore the enrollment requirements, process, and timeline for ColoradoGives and review the challenges and highlight the opportunities that the Gives Day offers. Objectives of the presentation are to build awareness amongst local nonprofits about Colorado Gives Day and enable nonprofits to make an informed decision about whether they should add ColoradoGives to their fundraising strategies. The Community Foundation is excited to announce that we have become a Regional Champion for ColoradoGives! ColoradoGives is a year-round online giving platform that makes it easy for donors to search for nonprofits and donate online. Hosted by the Community First Foundation in Denver, Colorado Gives features over 2,000 Colorado nonprofit profiles. Colorado Gives Day, scheduled for December 5, 2017, is an annual giving initiative that celebrates philanthropy statewide and inspires donors to “give where they live” through online donations. In 2016, $33.8 million was donated statewide and $143,595 was donated to Southwest Colorado nonprofits. As a Regional Champion, the Community Foundation will lead the local effort to strengthen online giving in Southwest Colorado. The Community Foundation will have an additional platform built specifically for Southwest Colorado, making it easier for donors to find nonprofits in our region and give locally. Additionally, the Community Foundation will coordinate marketing efforts to promote ColoradoGives and Colorado Gives Day, as well as provide support and professional development as local nonprofits build and plan their campaigns. In past years, other community foundations in Colorado who have served as Regional Champions have seen donations to nonprofits in their area skyrocket. 2. If eligible, enroll in the required ColoradoGives Intro Webinar. 5. Attend as many Lunch & Learn meetings as possible. 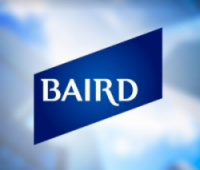 Lunch & Learn meetings are scheduled for the second Tuesday of each month in the First National Bank Community Room. Lunch & Learns focus on education and resources regarding how to execute an effective ColoradoGives campaign, as well as provide local nonprofits the opportunity to connect and discuss their experiences with the process. July 11 | 11:30am – 1:30pm – ColoradoGives: Could My Nonprofit Benefit? Cindy Arnold Hummiston will present on the enrollment requirements, process, and timeline for ColoradoGives and help enable nonprofits to make an informed decision about whether they should add ColoradoGives to their fundraising strategy. pros and cons of a PR launch event. 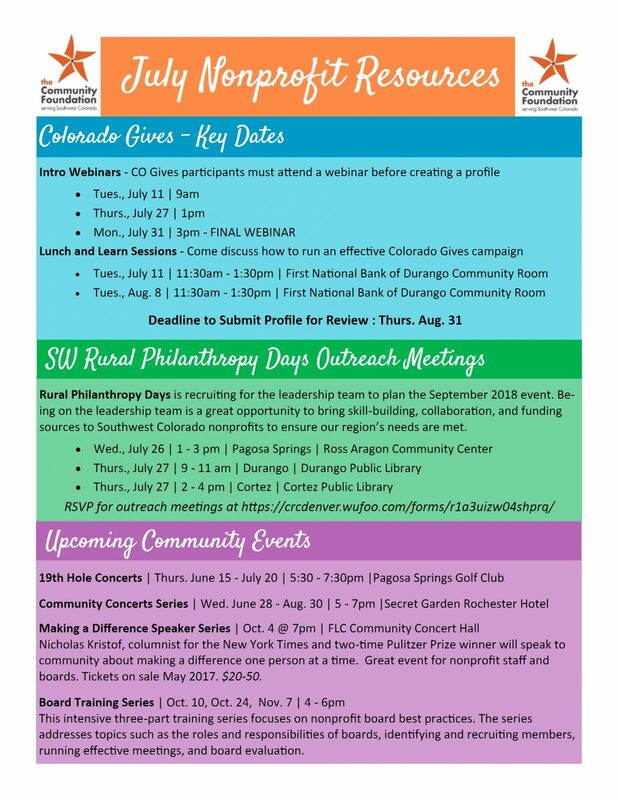 This Colorado Gives Lunch & Learn is for nonprofits that are approved (or nearly approved) for Colorado Gives and are participating in the Southwest Colorado Gives regional platform. The Community Foundation will provide an update on the budget we have to work with to promote SW CO Gives, as well as a marketing plan. Please come with any ideas you would like to add. 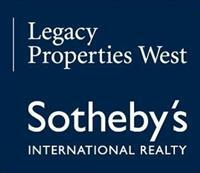 If you would like to participate in the regional platform, please submit your $100 participant fee to the Community Foundation by Friday, October 13. Join the Community Foundation at the beautiful Pagosa Springs Golf Club for an evening of music provided by Songs of the Fall. 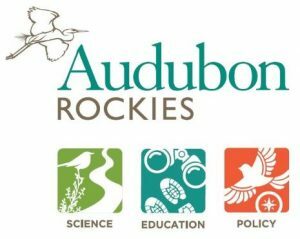 $10 cover benefits Archuleta County nonprofits such as Audubon Rockies, an organization that aims to conserve and restore natural ecosystems, focusing on birds, other wildlife, and their habitats for the benefit of humanity and the earth’s biological diversity. Join the Community Foundation in the Secret Garden at the Rochester Hotel for an evening of music provided by Better Knot. 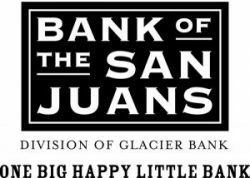 The $10 cover charge will help support La Plata County nonprofits, such as La Plata Open Space Conservancy. 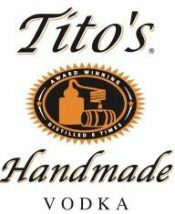 Food and drink, including signature cocktails using Tito’s Handmade Vodka, available for purchase. 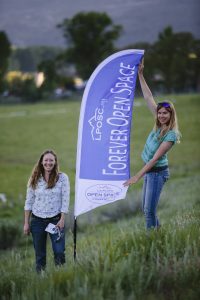 La Plata Open Space Conservancy (LPOSC) is the Durango-based land trust, serving Southwest Colorado. Since 1992, LPOSC has been involved in the permanent protection of nearly 30,000 acres of land cherished by our community. These lands include recreational parks, wildlife habitat, wetlands and river corridors, family farms and ranches, environmental education, and historic resources. LPOSC’s work is made possible through partnerships with private and municipal landowners, to protect our quality of life for generations to come!